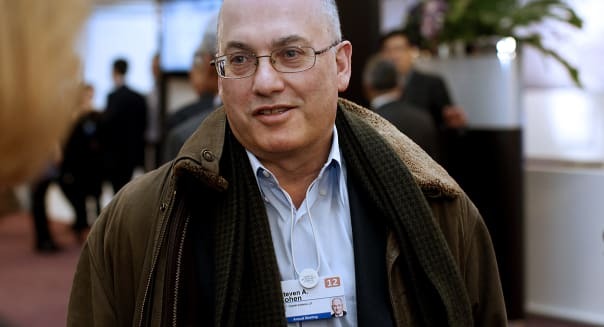 NEW YORK -- Lawyers for Steven A. Cohen's hedge fund, SAC Capital Advisors, reached a formal agreement with federal prosecutors to allow the hedge fund to continue to operate while the criminal case against it proceeds, according to a source briefed on the matter. According to the source, SAC will be required to hold on to the vast majority of the assets it manages for Cohen. The source declined to speak on the record because the agreement hasn't yet been approved by a judge. Though the firm is operating normally, several employees were leaving Friday as investor redemptions reduced the size of the workforce SAC will need. The agreement, which has been widely expected since Manhattan federal prosecutors filed criminal charges and a civil asset forfeiture claim against the $14 billion fund last month, still needs approval by the judge presiding over the asset forfeiture case. When SAC was indicted on July 25, the firm quickly released a statement saying it was working on a formal agreement with prosecutors to keep trading. Prosecutors that day filed a parallel civil forfeiture action against the firm, seeking penalties for money laundering and arguing illegal profits the firm allegedly reaped from insider trades had tainted the assets with which they were commingled. SAC has pleaded not guilty. Lawyers for the firm didn't respond to requests for comment. The firm, which recently managed as much as $6 billion in funds for outside investors, has been returning money to investors who requested it through redemptions. Friday is the last day of work for several sales and marketing people at the fund who are being let go as SAC is in the process of returning $5 billion in outside investor money by this year's end. The source briefed on the agreement said it contained a requirement that SAC maintain 85 percent of the assets held by the firm's management company. The source said this requirement meant that SAC needed to refrain from disbursing Cohen's money, not the money belonging to outside investors. Reports from inside SAC say the firm has been going about "business as usual" since the indictment. Last week, Goldman Sachs (GS) Chief Operating Officer Gary Cohn said on CNBC that Goldman was still trading with SAC and that the hedge fund was "an important client" and "a great counterparty." JPMorgan Chase (JPM) is also keeping its business relationship with SAC intact, a source familiar with the matter confirmed last week. JPMorgan's stated policy is not to comment on relationships with clients. News of the formal agreement was first reported by the Wall Street Journal (subscription required).